Fifty years after it left the small screen, Lost in Space is back. Writers Matt Sazama and Burk Sharpless plus showrunner Zack Estrin discuss making this space adventure, a modern take on Irwin Allen’s classic 1960s series. Of all the series that have been rebooted over the last decade, perhaps Lost in Space has had the longest journey. The classic science-fiction series originally aired between 1965 and 1968, beaming the adventures of the Robinson family into homes across America. It was a landmark show for many reasons. Not only did it explore themes of space travel and other-worldly adventure, it put a family at the heart of the story and has since become known for the central relationship between Will Robinson, the youngest child, and the ship’s robot. On a production level, it straddled the move into colour, with the first season airing in black and white before new technology gave it a totally different complexion. Now, 50 years since the original series came to an end after three seasons on CBS (a much-maligned 1998 feature film aside), a long-awaited reboot from Legendary Television is set to land on Netflix this Friday. Set 30 years in the future, this modern reimagining sees the Robinson family among those selected to make a new life for themselves in a better world. But when they find themselves abruptly torn off course en route to their new home, they must forge new alliances and work together to survive in a dangerous alien environment, light years from their original destination. A reboot of Irwin Allen’s original series has been a long-time passion project for executive producer Kevin Burns and, after several misfires, the project gained momentum in 2014 when writing partners Matt Sazama and Burk Sharpless, both self-confessed sci-fi fans, signed up to work on the 10-episode series. 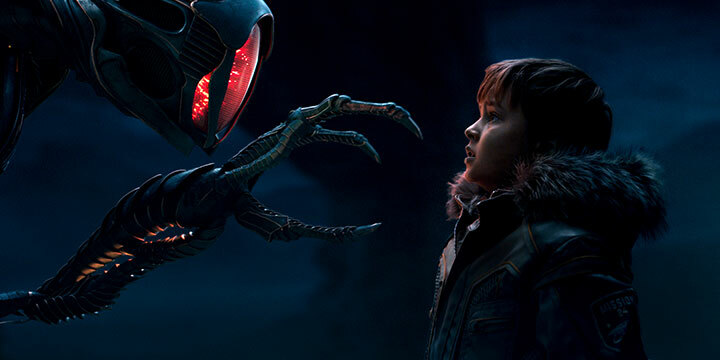 While sci-fi series in general, and space-set dramas in particular, are seeing a huge resurgence (The Expanse, Star Trek, The Orville), Lost in Space stands out for its aspirational, optimistic themes of a family standing together in a strange environment, with the sci-fi elements largely window dressing for the emotional adventure at its core. It’s a foundation the show takes from the original series, which itself was inspired by The Swiss Family Robinson. Sazama and Sharpless developed this idea until Netflix came on board in late 2015, before greenlighting a full season in June 2016. Synthesis Entertainment’s Burns and Jon Jashni are also executive producers with Applebox’s Neil Marshall and Marc Helwig. The setup largely remains the same. Toby Stephens (Black Sails) and Molly Parker (House of Cards) play John and Maureen Robinson, the parents who are struggling with their relationship while trying to keep their family safe. 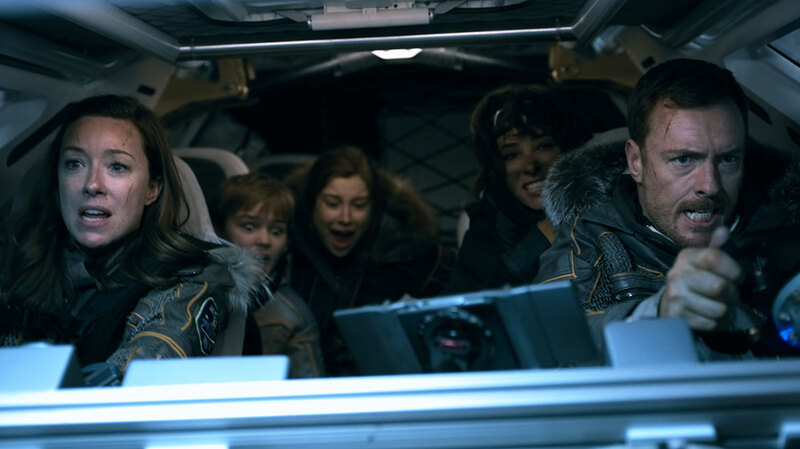 The Robinson kids comprise Taylor Russell (Falling Skies) as strong-willed and confident Judy, Mina Sundwall (Maggie’s Plan) as quick-witted and decisive Penny, and Maxwell Jenkins (Sense8) as youngest child Will, who is smart and brave – and friends with a robot. Some characters, however, have been given a reboot of their own. 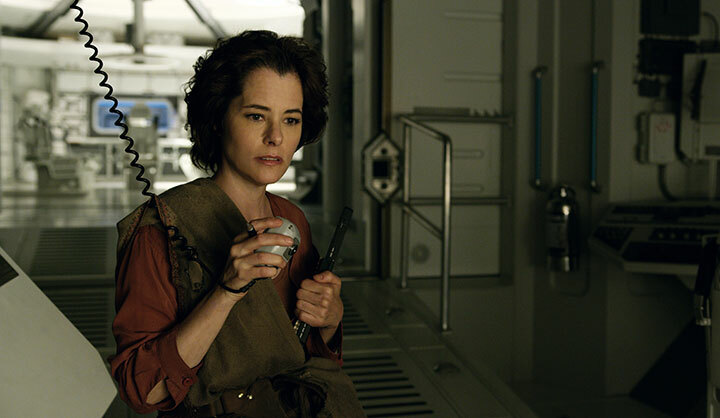 Dr Smith, meanwhile, the villain played by Jonathan Harris in the original series, is a woman in the Netflix reboot, played by Parker Posey (Dazed & Confused). Meanwhile, the robot is given a shiny new exterior and an alien backstory. And what did Netflix make of the updates to the original series? “Netflix only had one thing they asked us for, which is at the end of every episode, end on something that’s so exciting that you want to keep watching,” Sazama adds. Coming from the feature world, Sazama and Sharpless (Dracula Untold, Last Witch Hunter) worked alongside showrunner Zack Estrin (Prison Break, The River) to turn their pilot script into a series that has the potential to run for a decade. 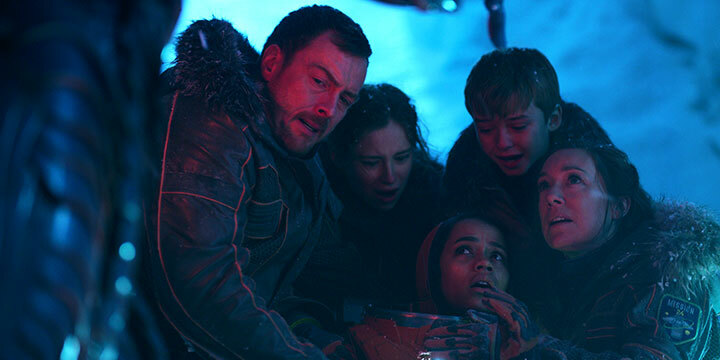 Lost in Space was filmed in Vancouver, both in the studio and on location. It’s a stunning feat of production design that brings together frozen glaciers, luscious forests and vertigo-inducing cliff drops. Of course, visual effects play their part, but the producers were keen to ensure the new worlds featured in the series were relatable, with the odd dust storm thrown in for good measure. Sazama, Sharpless and Estrin are already back in the writers room plotting out the Robinsons’ next adventure, though season two has not yet been confirmed.